/bɑs ˈtjɛ̃ no ˈse ʁɑ/ (hadess) | News: New TLA features! I'm wondering when will this hit Fedora? Is there any info on when DVD menus will be supported in gstreamer? Sweet! Will this be in ubuntu hardy? Good going to both Tim and You on getting this to work. I think are quite a few of us who will be happy not to need totem-xine for much longer. 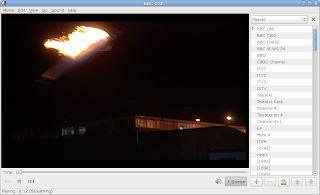 Is that a helicopter on fire crashing into a school in the DVB shot? 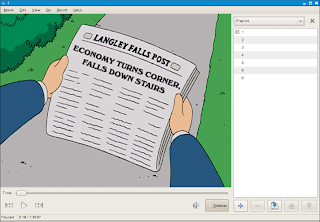 like matthew, I haven't really understood what this is about: I can watch DVDs in Totem quite fine, sans menus. Matthew, and Anonymous, DVDs won't integrated in the menus. Either it only played the first title of the disc using dvd:// (and you might get lucky with it being the actual film), or you put in the DVD title needed by hand, using dvd://2 for example. Either way, this now unneeded, and directly integrated in the menus. Ah, the beauty of taking the "just works" effect for granted! Thanks for the clarification, and your great work.